Home / Financial Advisors / Financial Advisor Center / IRS Tax Refund 2019: So, Where’s My Tax Refund? 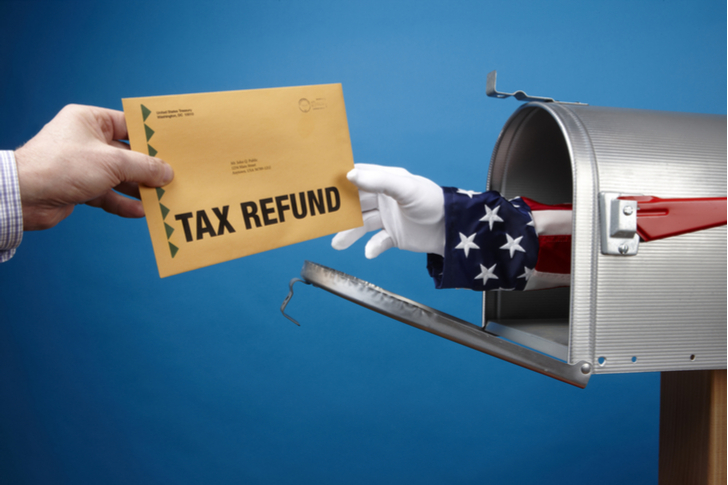 IRS Tax Refund 2019: So, Where’s My Tax Refund? When it comes to the tax-return season, the biggest question is: where’s my refund? The amount is often fairly sizeable and many people rely on it (last year the average refund was $2,899). Assuming you use an electronic filing, you may have to wait anywhere from two to three weeks to receive your tax refund. Yet there could be delays, such as if the return is incomplete, has errors, or has been impacted by identity theft or fraud. So what if you file a paper return? Well, in this case, it could take six to eight weeks to get your tax refund. Now the IRS actually makes it easy to track the status of your refund. The agency has something called “Where’s My Refund?” There is even a mobile app for Apple’s (NASDAQ:AAPL) iOS, Alphabet’s (NASDAQ:GOOGL, NASDAQ:GOOG) Android and Amazon.com’s (NASDAQ:AMZN) Kindle. To see the status of your tax refund, you’ll need to provide your Social Security number, filing status and the exact amount on your tax return. If the app indicates “refund sent,” you may still need to wait up to a week to get the payment deposited. This is because of the processing of your bank. Or, if you requested a paper check, you may have to wait another couple weeks. Regarding government shutdowns, the policy has been to not send out tax refunds. The reason is that these kinds of disbursements are not critical for life or preserving federal property. But, previously, the White House Office of Management and Budget (OMB) announced that the policy will not be followed. And yes, it’s understandable why. Because of the large amounts involved, there could be an adverse impact on the economy. In other words, the details are very sketchy. Besides, it seems like morale will be low, given that these employees have not been getting a paycheck. The new tax law may mean further complications — which could lead to delays. To put things into perspective, for the week ended Feb. 2 during the 2018 tax season, the IRS received a whopping 18.3 million tax returns. There is a way to get your refund quicker — that is, to get a so-called refund advance, which often has zero interest. And yes, the major tax prep operators have their own programs like H&R Block (NYSE:HRB), Intuit’s (NASDAQ:INTC) TurboTax, Jackson Hewitt and Liberty Tax. But there are some hitches. For example, you are required to purchase the tax services or preparation software of the company. Next, there are often fees for a debit card that your advance will be deposited in. There may even be finance charges if the amount exceeds a certain level. What’s more, if the refund winds up being less then the loan, you could be on the hook for the difference. In other words, it’s a good idea to read the fine print. Although, for the most part, a refund advance can be a good option. Article printed from InvestorPlace Media, https://investorplace.com/2019/03/irs-tax-return-schedule-2019-wheres-my-tax-refund/.